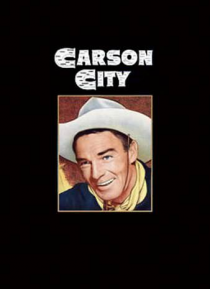 Randolph Scott is a man with a mission in this classic tale, as he endeavors to build a railroad through the lawless land between Carson City and Virginia City, Nevada. It won't be easy. It might be deadly. Citizens are riled over this new era of steel-and-steam progress. And the man goading the populace just happens to be a furtive thief who knows stagecoach lines are easy targets. Andre Detoth (… "House of Wax") directs.